"Fragments of Possible Meaning" by Carolyn J. Sweers is a tiny book, but huge in message. Each page has only few written words expressing one thought, one moment, one lesson to discover, but each with infinite meaning. I quote this one because it is a perfect example of the contents of this book. Simple, to the point, yet thought provoking and filled with meaning. Sweers did an awesome job structuring her book. It is easy to pick up and visit a trend of thought at any given moment, over and over again. Well written, well thought out, and produced. It is deep, fulfilling, and simple in presentation. Perfect for all readers who enjoy philosophy or simply visiting their own minds and hearts. I must say that I find it hard to pick favorite fragments, but I loved the Introduction and the After Words, and hope all read them as well before going into the Fragments. 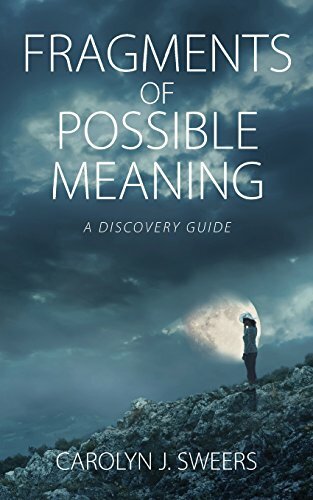 "Fragments of Possible Meaning" by Carolyn J. Sweers is an insightful little book, which will stay with me for a while to revisit from time to time. Five Stars!